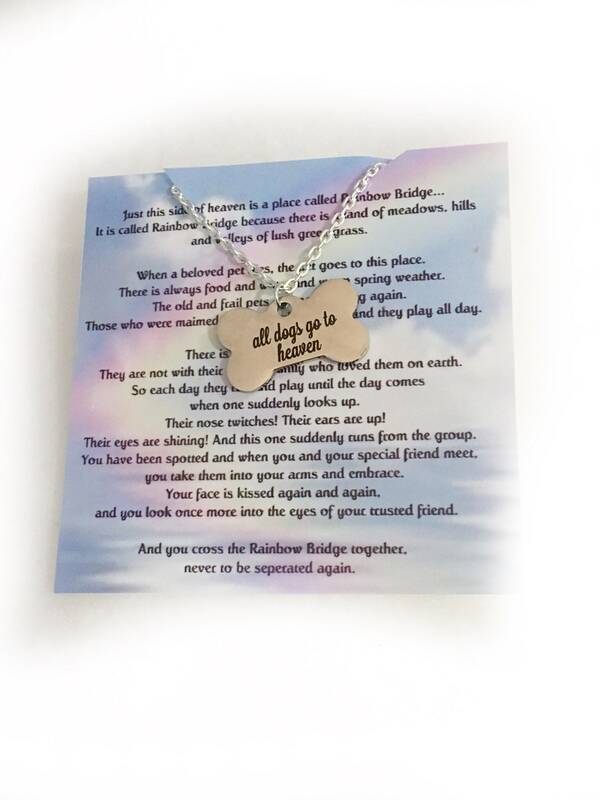 Pet Memorial Jewelry is a new line to our Pet Memorials. 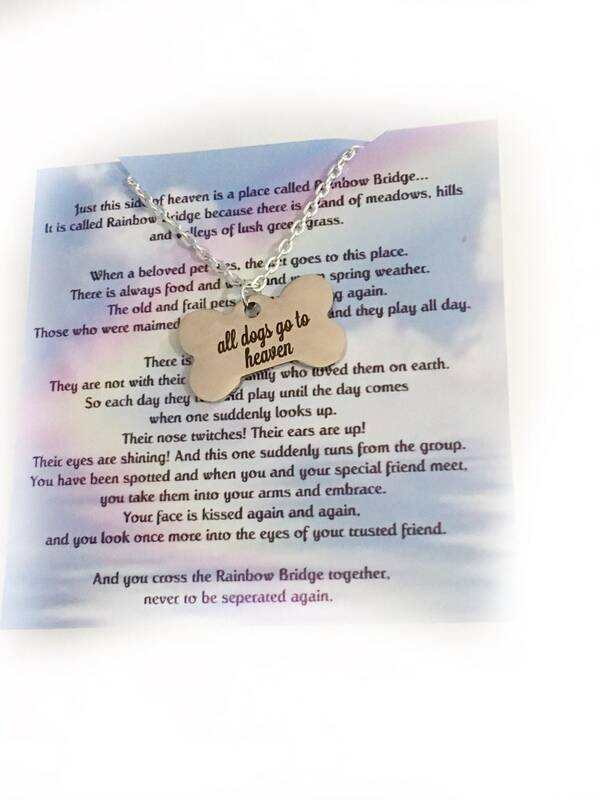 You can buy these alone or add with a Pet Memorial Plaque (coming soon, I will add listings that are gift sets of both). This necklace is an 18-inch chain. 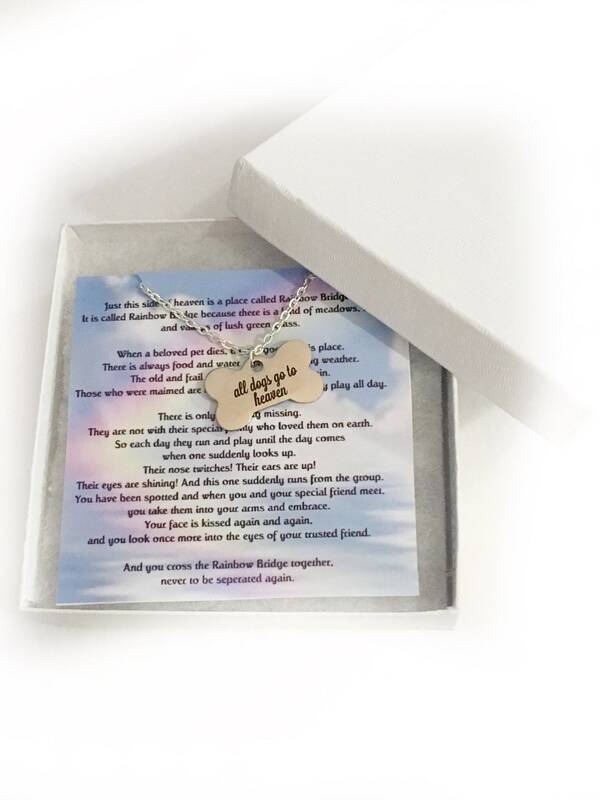 The charms are stainless steel charms and are laser engraved. 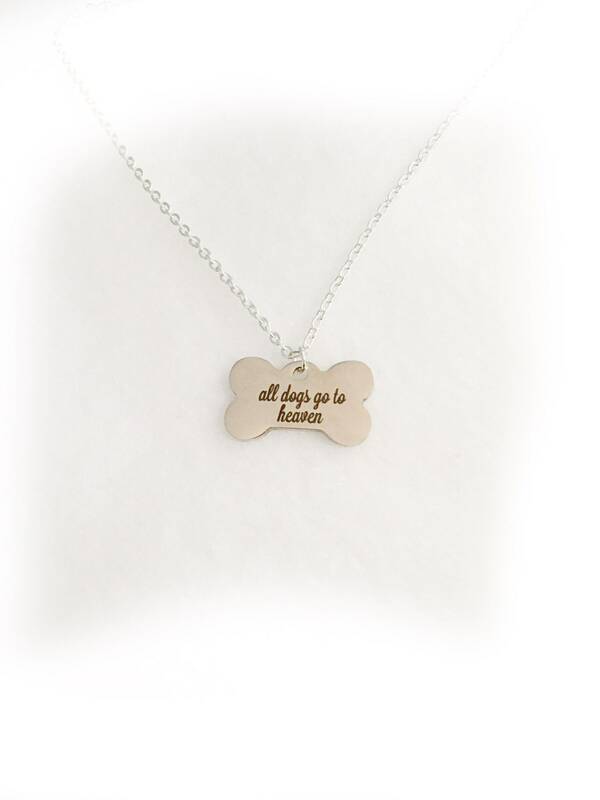 Made of high-quality stainless steel and are polished and won't tarnish. I will always do my best to get as close to their birthstone as possible (and send you pictures before shipping). I try to keep as many charms with initials on hand as possible but if I don't have it, I will get it. 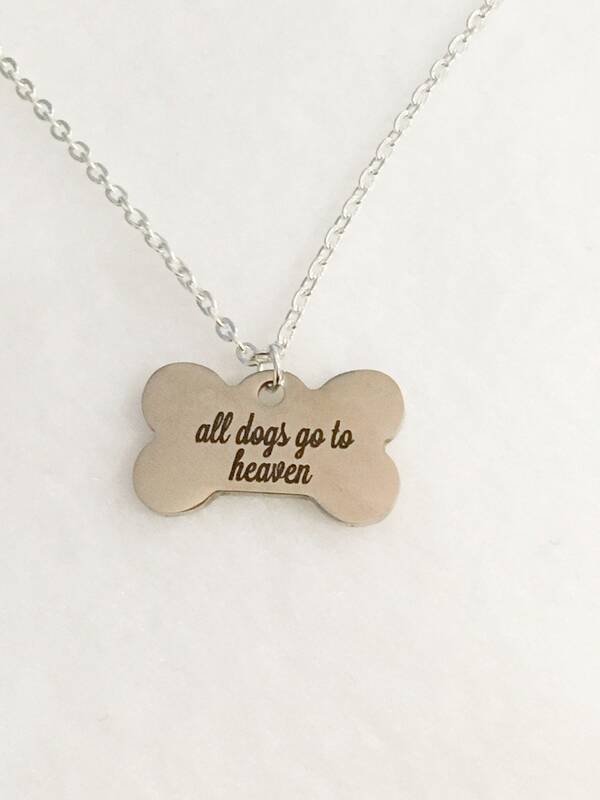 I am honored to make a necklace in memory of your furry friend. Every piece of jewelry will come in a gift box.